Second-seeded Roger Federer rebounded from a straight-sets loss to Kei Nishikori on Sunday with a 6-2, 6-3 victory over sixth-seeded Dominic Thiem today in the Nitto ATP Finals in London. 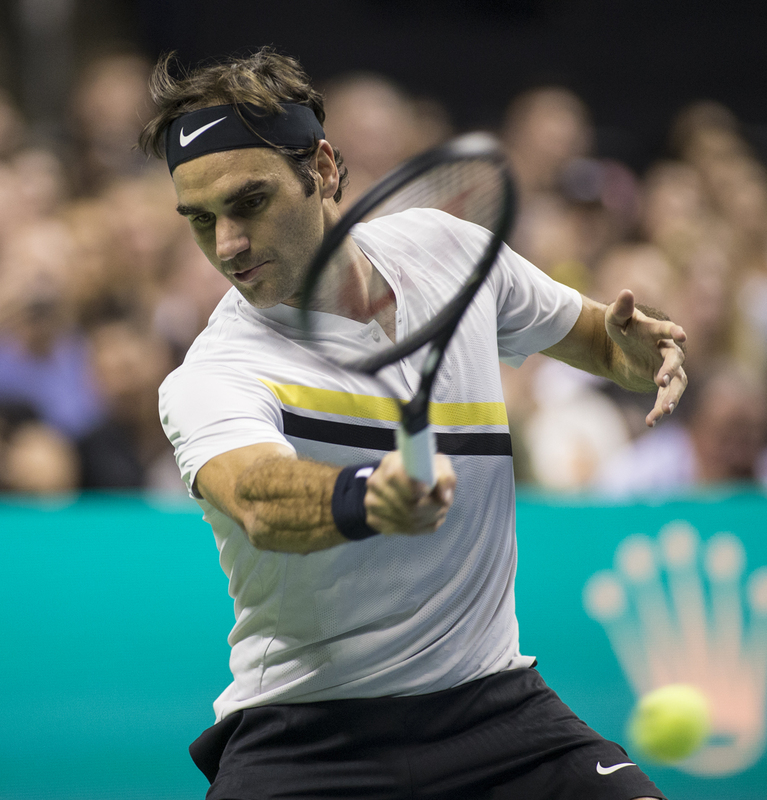 Federer, who made his Northern California debut in a March exhibition in San Jose, stayed alive in his quest for a seventh ATP Finals title with a 1-1 record. Federer is scheduled to play fourth-seeded Kevin Anderson, who demolished the seventh-seeded Nishikori 6-0, 6-1 in 64 minutes to improve to 2-0, on Thursday in a round-robin finale. Anderson, 6-foot-8 (2.03 meters), saved a match point and stunned eight-time champion Federer 2-6, 6-7 (5), 7-5, 6-4, 13-11 in the Wimbledon quarterfinals in July en route to the final. Federer had won all eight sets in four previous matches against Anderson, never even needing a tiebreaker. Anderson won a $15,000 Futures tournament in the Sacramento suburb of Loomis in 2007. He also reached the quarterfinals of the now-defunct SAP Open in San Jose and played part-time for the Sacramento Capitals of World TeamTennis in 2012. Nishikori lost in the second round in all three of his appearances in the SAP Open (2008, 2009 and 2011). Brad Gilbert of San Rafael in the San Francisco Bay Area coached Nishikori in 2011. USTA Pro Circuit -- Keenan Mayo, a 6-foot-6 (1.98-meter) Illinois freshman who grew up in Roseville in the Sacramento area, lost to fellow qualifier Ryan Shane, the 2015 NCAA singles champion from Virginia, 6-3, 6-4 in the first round of the $75,000 JSM Challenger of Champaign-Urbana (Ill.). Mayo, playing on his home courts, made his Challenger main-draw debut.